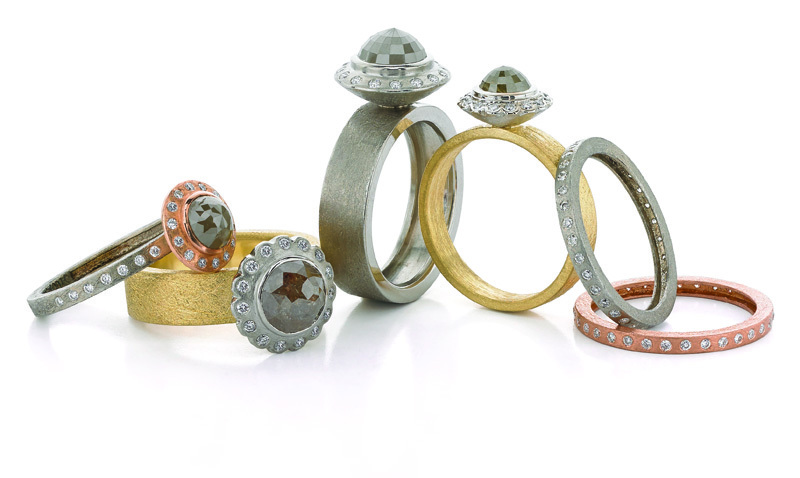 A ring collection by Alishan Halebian in textured palladium. 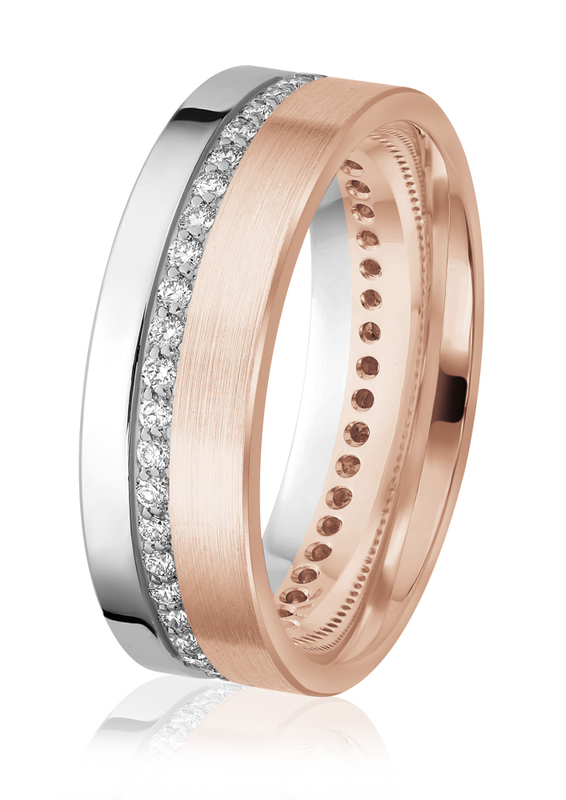 18-karat yellow and rose gold set with rose-cut diamond centre stones and accented with small white diamonds. When I first started designing jewellery, I thought diamonds were overrated. They were expensive, white, and boring. As my knowledge and finances grew, I realized working with them had many advantages: durability, life, and brilliance. Soon, I discovered natural fancy coloured stones which opened a world of possibilities. 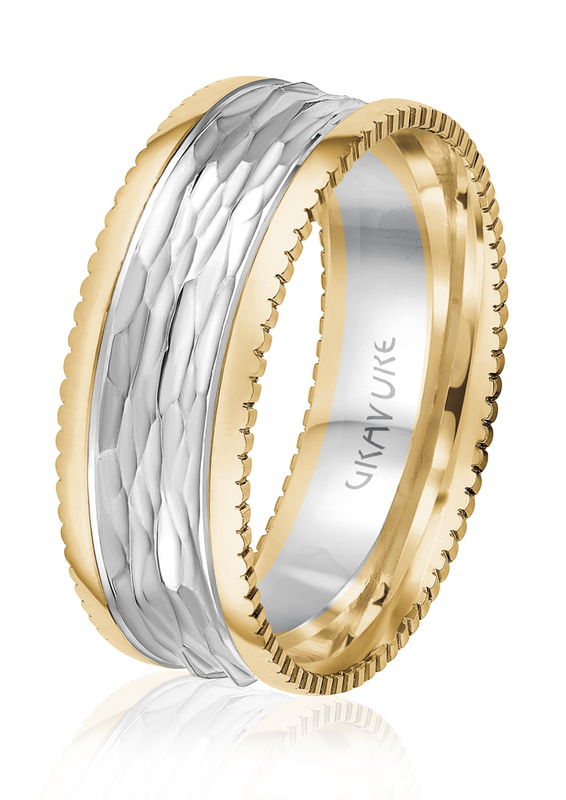 In recent years, there has been a piqued interest in alternative diamonds i.e. rose cuts, slices, natural crystals, and opaque black stones thanks to the preferences of millennials. 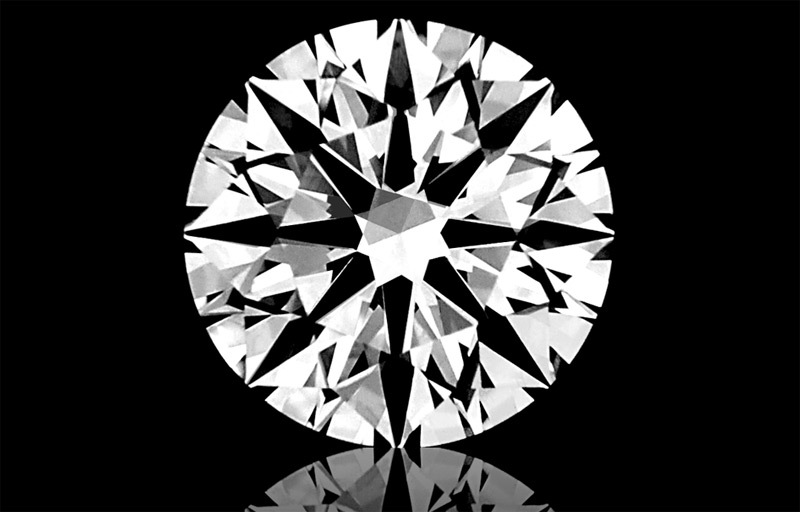 Previously, these materials would have been relegated to the industrial grit department, but are now re-invented as fine jewellery to meet an increasing demand for non-traditional diamonds. Clever marketing by suppliers and designers have created a booming market for what otherwise would have been turned into abrasives. Natural diamond crystals have been used for a long time in jewellery design, but are now found in engagement and wedding rings, too. Typically, they are available as octahedrons or cubes. I recently purchased two irregular, 21-ctw diamond crystals. They would perhaps more properly be called bort, as they are dark, imperfectly formed crystallized diamonds of varying levels of opacity. This pair is roughly the same size and shape; one is greyish-white and the other is honey brown. 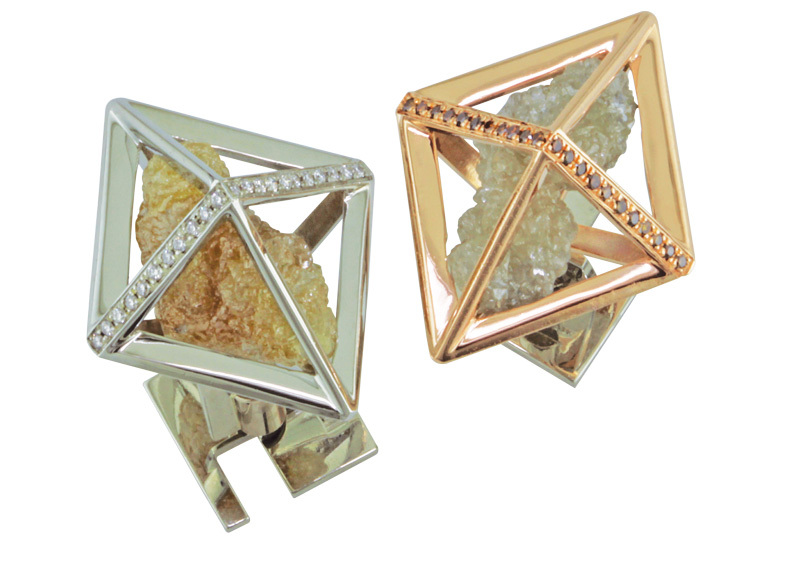 I set them as cufflinks, captured in cages in the form of octahedrons as a reference to a more perfect crystal form. 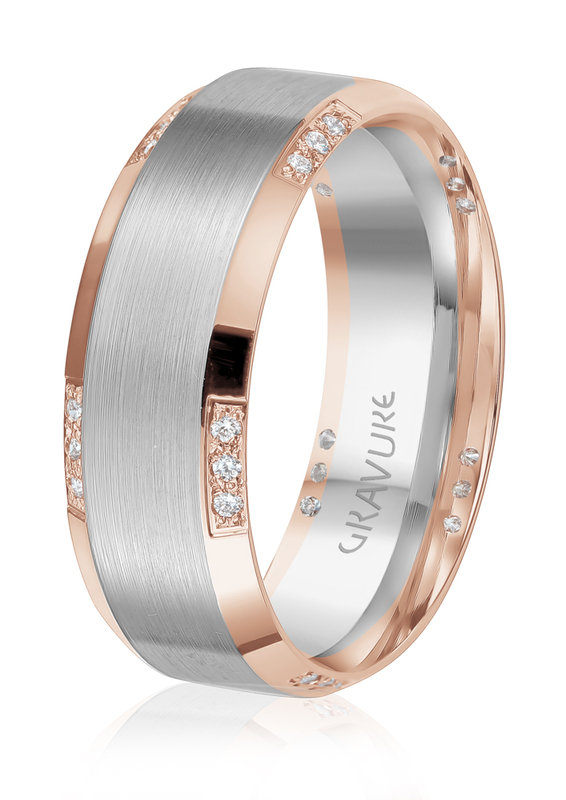 The brown stones have been set in white gold and are accented with white melee diamonds, and the whitish stones have been set in rose gold with copper-coloured natural fancy diamonds. I found another mismatched pair of well-formed, but heavily-included diamond crystals for a client who is a retired geologist. One is a single octahedron, the other is two octahedrons which grew as Siamese twins. They were set as asymmetrical earrings, one in a diamond-shaped frame, the other in a circular frame clamped between tubes set with round black diamonds on both ends. They are not flashy, but they are perfect for showing off their natural structure. 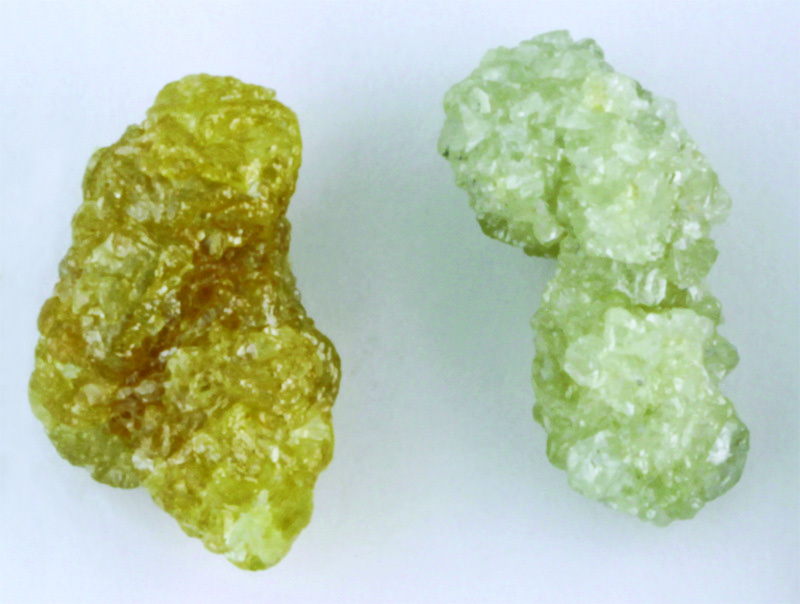 Two large 21-ctw rough diamond crystals (bort) shown loose. Set in 19-karat white and 18-karat rose gold cufflinks, they are accented with natural fancy brown diamond pave. Cages are octahedrons as reference to perfect diamond crystal shape.